What’s the business case for unified communications? 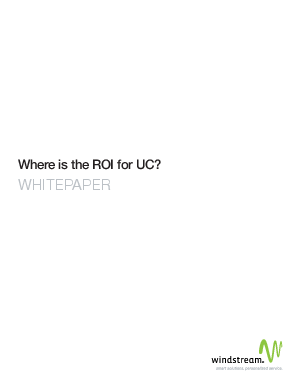 The majority of companies (82%) that implement a UC solution earn a positive ROI. Yet, it can be challenging to get key decision makers on board. Learn how to build a business case for UC by evaluating hard-and soft-dollar savings opportunities, exploring how your company can benefit from UC collaboration tools, and how to tap into savings that comes from tapping into Communications Enabled Business Processes (CEBP). Find out what steps you can take to help get your organization on board.